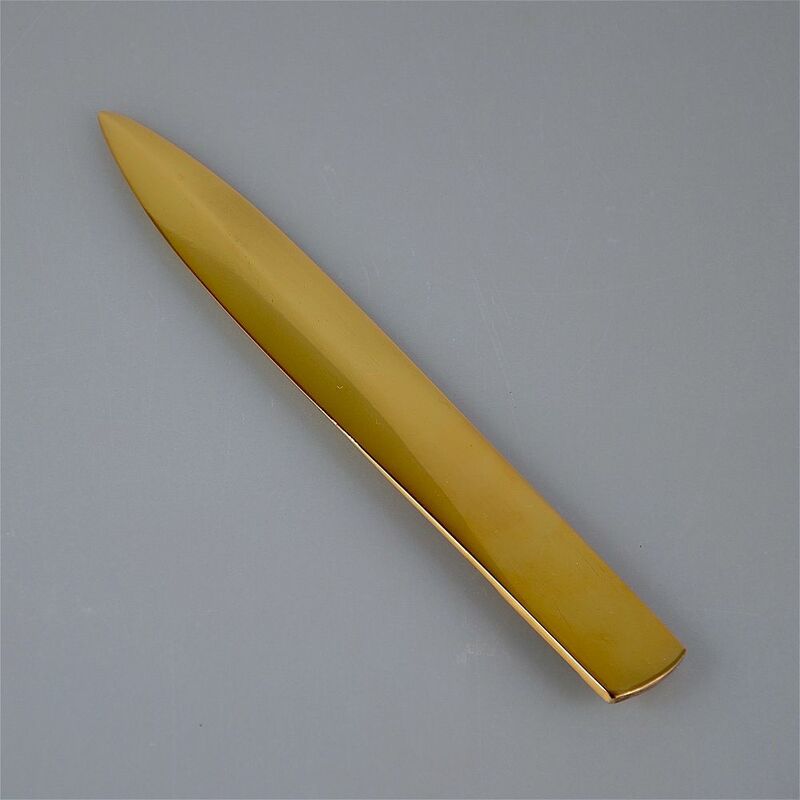 This superb gilded bronze paperknife is by Pierre Turin and was made during the Art Deco period. 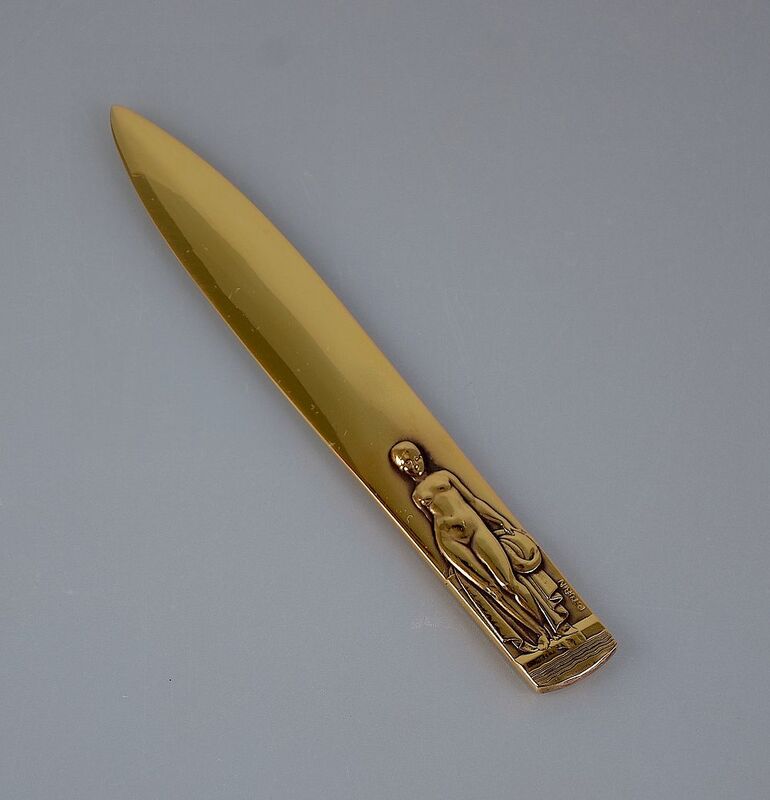 On the front of the paperknife is a figure in relief of a naked woman with robes in her hands about to bathe. It is signed "P Turin" on the right hand side. The back is undecorated. Fabulous, useful and very tactile!